Realised I’ve been posting lots of savoury food these days, so let’s take a break and head over to desserts first! This is another overdue The Home Bakers bake (sorry for the delay! ), chosen by Mich from Piece of Cake. 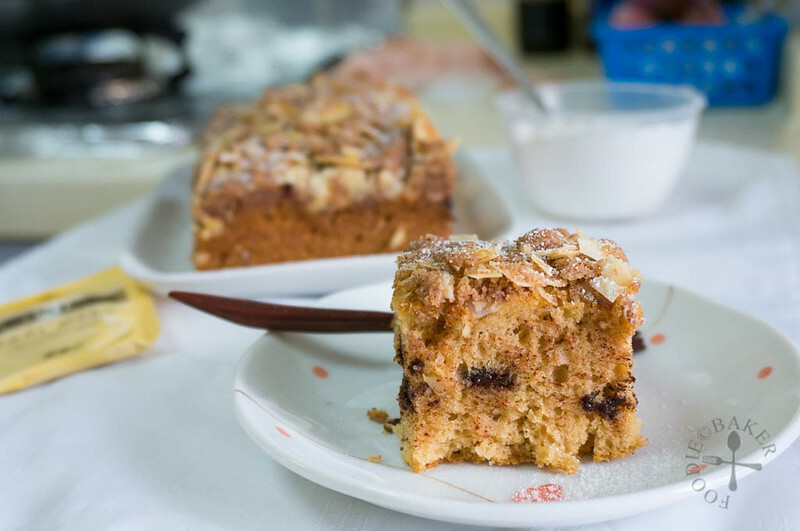 This bake is very similar to other THB bakes, whereby a streusel topping is topped on a simple butter cake base. 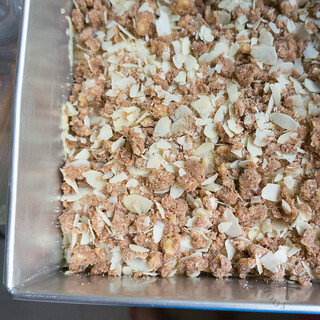 I usually substitute nuts for almond in most of my THB bakes as almond is a lot cheaper here. Not wanting to make the cake taste the same as other THB cakes, I decided to give it a booze! 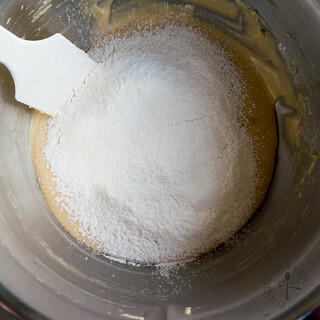 I omitted the baking soda and substituted the buttermilk with Baileys. The resulting cake was light, soft, nutty with a very yummy Baileys flavour. Quite surprised that Baileys and cinnamon can go well with each other! Another delicious cake for tea! 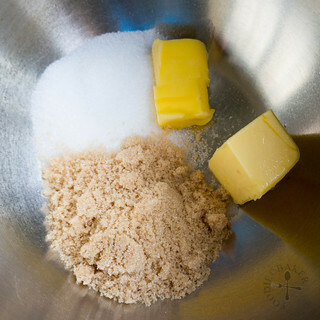 1) Combine sugar, flour, cinnamon and butter. 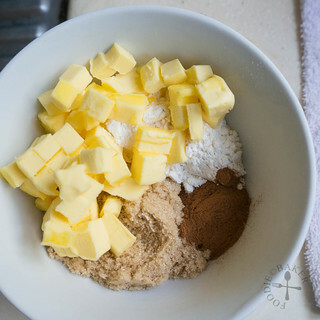 2) Mix them together. 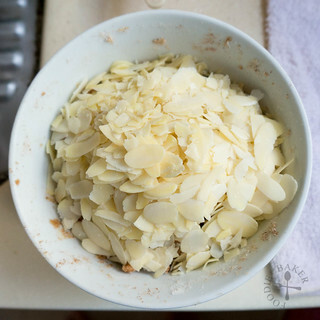 3) Then stir in the almonds. Set aside. 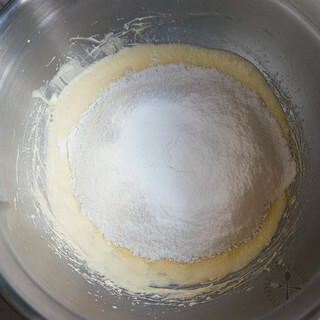 4) Measure butter and sugars in a mixing bowl. 7) Followed by the 2nd egg. 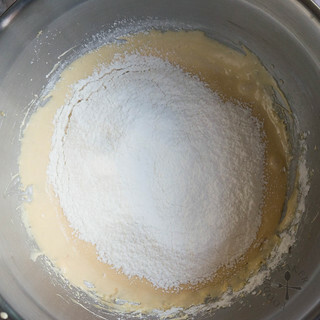 8) Sift and fold in 1/3 of the flour mixture. 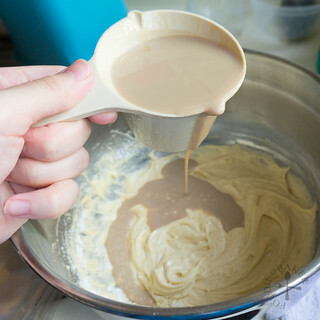 9) Stir in half of the Baileys. 10) Sift and fold in another 1/3. 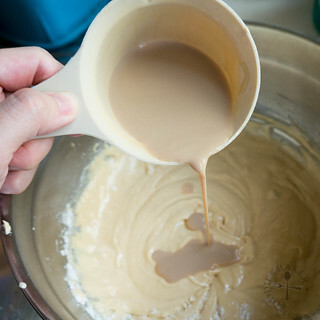 11) Pour in the remaining Baileys. 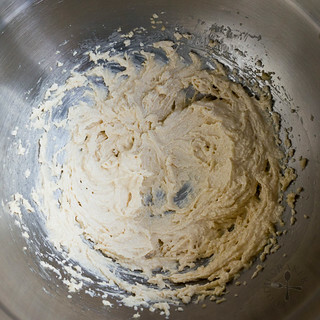 12) And mix in the rest of the flour mixture. 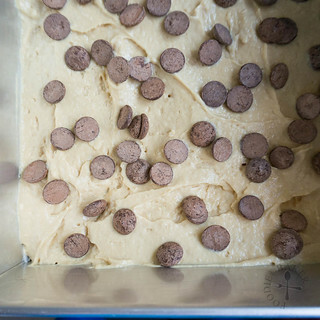 13) Spread 1/2 the batter in a tin and sprinkle with chocolate chips. 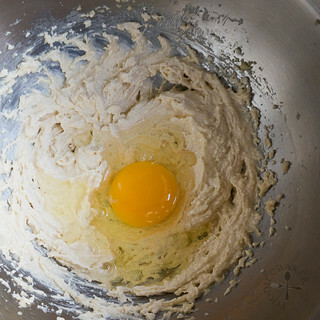 Pour in remaining batter. 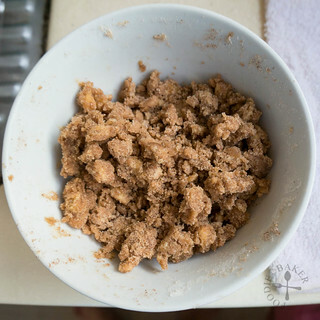 14) Sprinkle the streusel topping evenly over the batter and bake away! 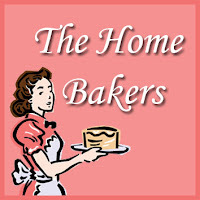 The Home Bakers is organized by Joyce of Kitchen Flavours. 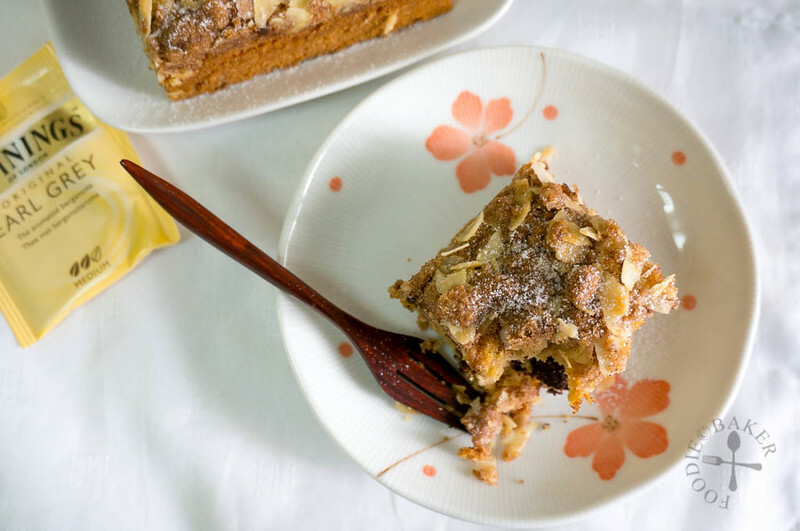 This recipe was chosen and hosted by Mich from Piece of Cake. Hop over here for all the submissions and here for the full recipe and steps! Update 29/12/2016: Thanks to a reader, Jeny, I noticed that the recipe I posted is not inline with the step-by-step photos – as this post was blogged quite some time back, I cannot remember the details of the cake, so I’m taking down the recipe and will only reupload it when I have tested it again. I’m so terribly sorry for any inconvenience caused! 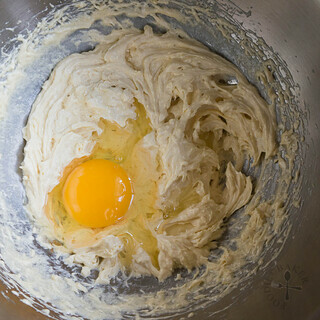 Meanwhile, for the original recipe, please head over to Mich’s blog! U omit baking soda but substitute buttermilk wif bailey. May i kno how much buttermilk n bailey to use? Hi Jeny! Firstly, I’m terribly sorry for the confusions. I realised I made the full recipe but I only state half of the quantities – this is my fault and I apologise. As I don’t quite remembered what I did, I will be removing the recipe and will only reupload it when I test it again. 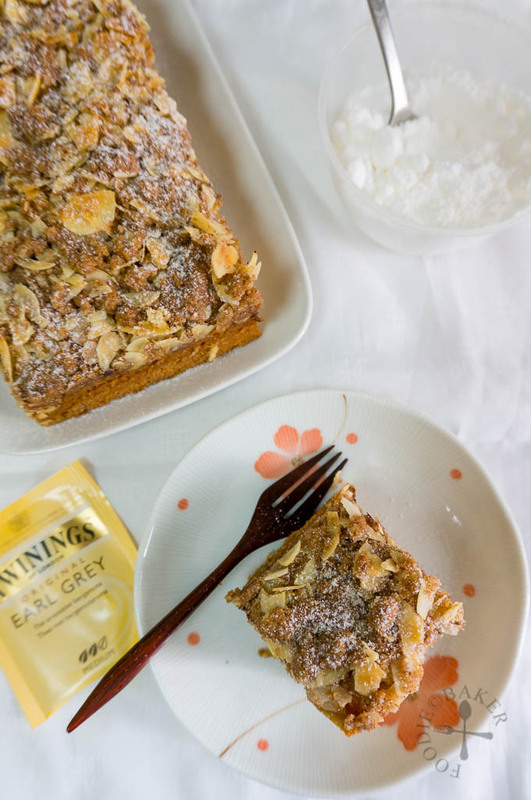 So please head over to Mich’s blog (http://eatapieceofcake.blogspot.sg/2014/05/pecan-streusel-coffee-cake.html) for the original recipe! Again, so sorry for your troubles! May i kno wats d oven temp n bake abt how many mins? I love that it has Baileys!!! Looks so delicious ! I love this recipe ! What a delicious, yummy twist with the Baileys! You may link your post at the current THB’s linky!